While the process of developing an invention is creative, fun, and inspiring, the patent application process is one that is very long and complicated. Here, we will try and brake down the steps that are needed in order to complete this process successfully. preparing a patent application, find out if you really need a patent or some other form of Intellectual Property protection. Search to see if your invention has already been patented: Searching for a patent can be a lot more difficult than you might think. 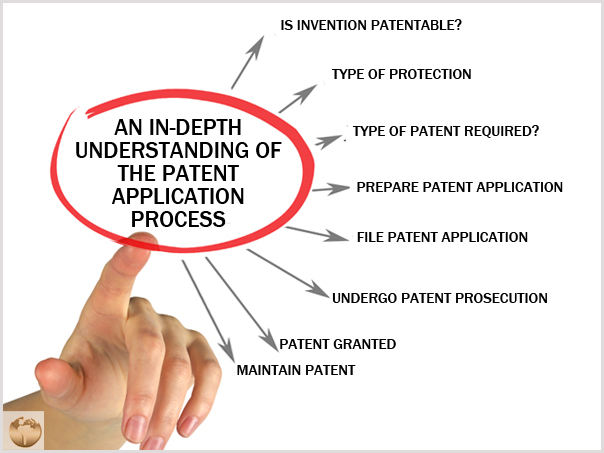 It's recommended that you ask for the help of a patent attorney. What type of patent will you need? : There are three types of patents, utility, design, and plant. You need to do research in order to determine what your product falls under. The preparation for a patent application needs to be completed in a manner recognized by the United States Patent and Trademark Office (USPTO). Therefore, obtaining this patent can be quite an undertaking, requiring thorough knowledge of patent law, rules, and regulations. Inventors may prepare their own applications and file them to the USPTO, but unless they study these procedures in detail, they may have extreme difficulty successfully completing the process. Therefore, it is recommended that you hire a patent attorney, who is somebody well-versed in the language regarding the patent process. These attorneys have a deep passion and understanding of the subject and will assist you with getting your invention up and running!